I'm going to need a few weeks to tidy mine up before I can post a picture. Vyothric wrote: I'm going to need a few weeks to tidy mine up before I can post a picture. Make that months. It's still not suitable for picture taking. Bought a new table for my Amiga 1200. Here's my desktop! 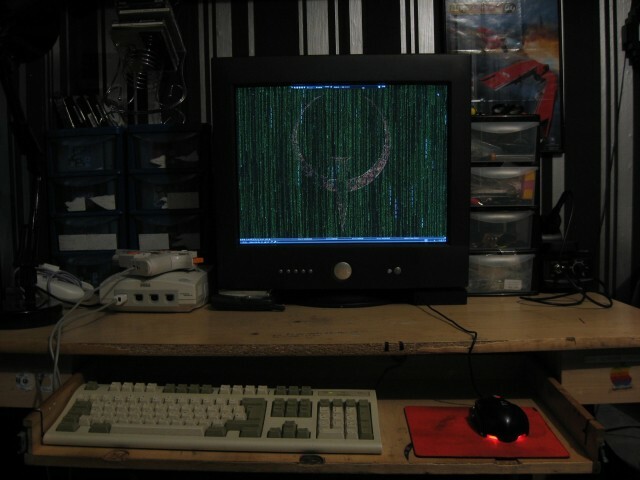 You can't see it too well from this angle, but the desk is really bent due to the weight of my monitors over the years - 19 -21" CRT's. The keyboard drawer also broke some years ago and I managed to "fix" it. A picture of a small part of my stuff, which I am just sorting. More to come. 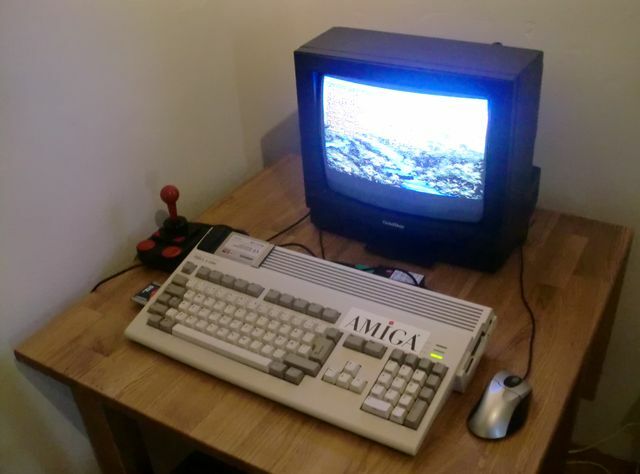 Here's my new setup featuring an Amiga 1200 and a CD32. Hope you like it. sasatari wrote: A picture of a small part of my stuff, which I am just sorting. More to come.